Geeze, it's been over a year since I've posted anything. Anyway, I wanted to be able to do more weaving than I could do with the paddle or the cards, but wasn't about the shell out big bucks for a floor loom. 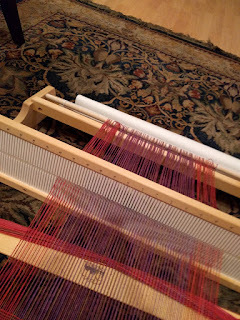 So, I went with a table loom with two rigid heddles. For my second weaving project, I used what I think is a cotton or cotton-blend yarn. 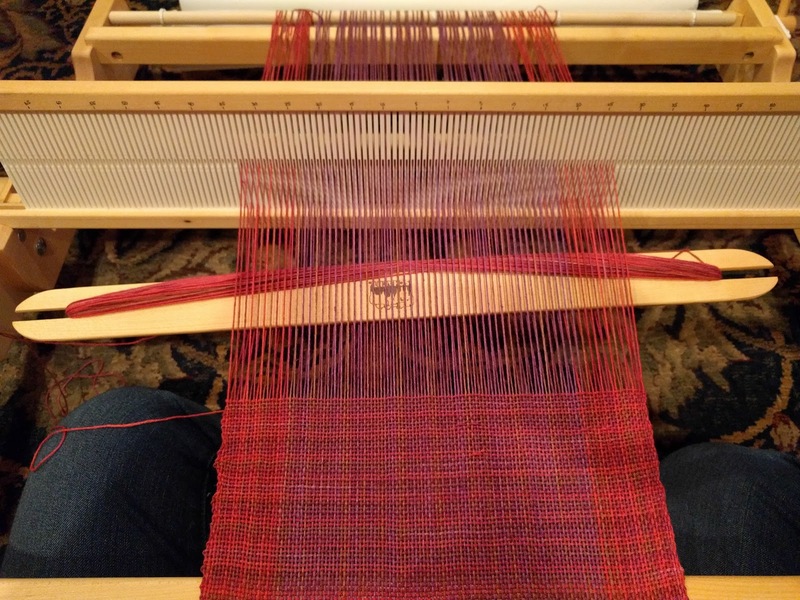 Yeah, that's me sitting on the floor with the loom, which is not how it's supposed to be used, and is not good for my back. Ahem. Here's the scarf that I wove. The yarn was slightly variegated, which serendipitously resulted in a plaid pattern. This scarf was for the charity knitting (to which I've added weaving) a group of us at my work have been doing. This one will join the Red Scarf Project donations.